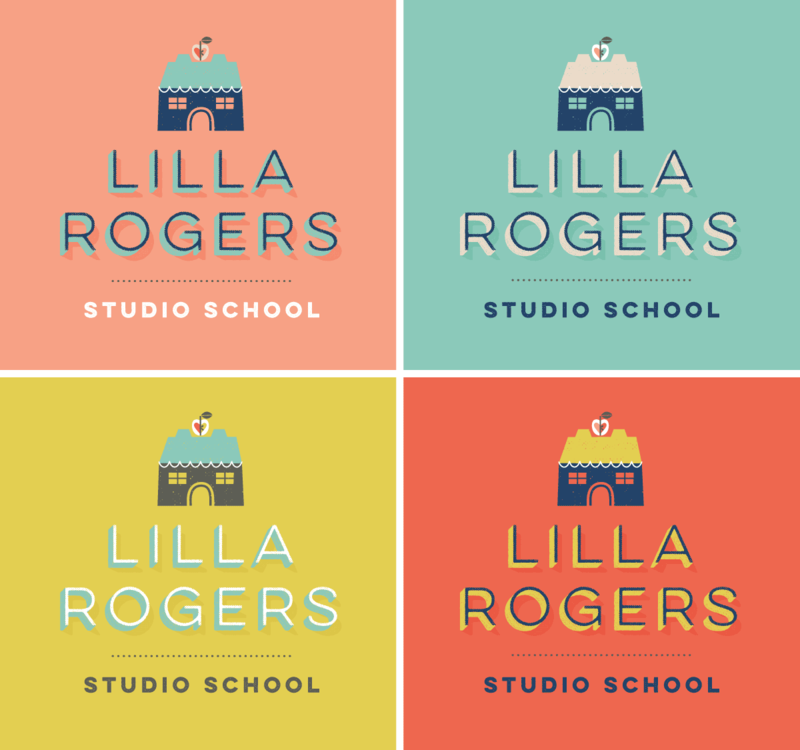 Lilla Rogers Studio School hosts a series of online classes to jump-start the careers of illustrators worldwide. We developed an identity that could adapt and transform to work big and small. 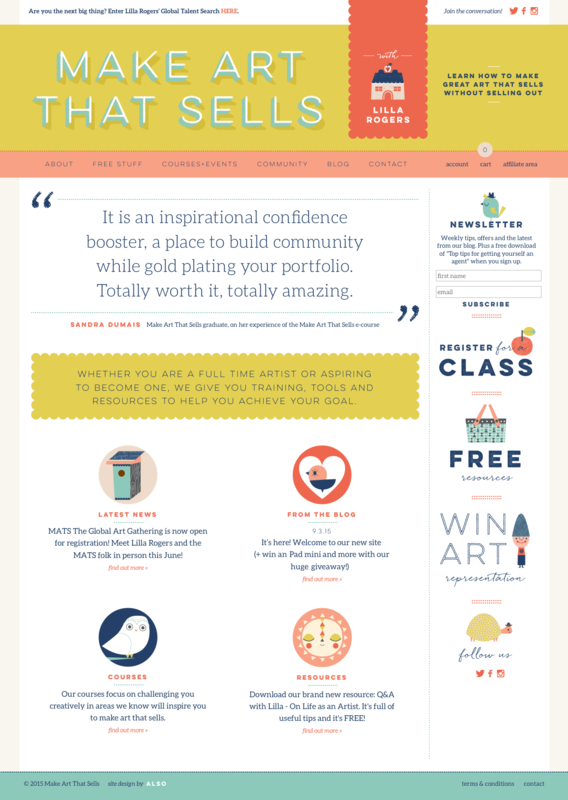 The styling carries over to various headers, graphics, buttons and sidebars while still feeling cohesive. Through a limited (but bright!) 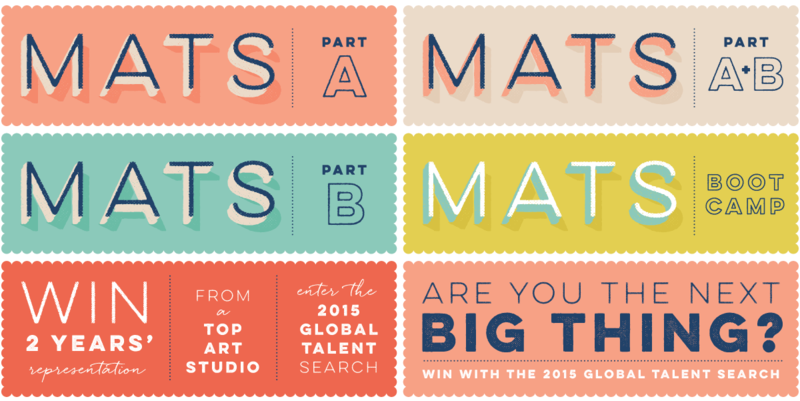 color palette, typography and wonderful illustrations by Suzy Ultman, the identity is flexible and friendly. 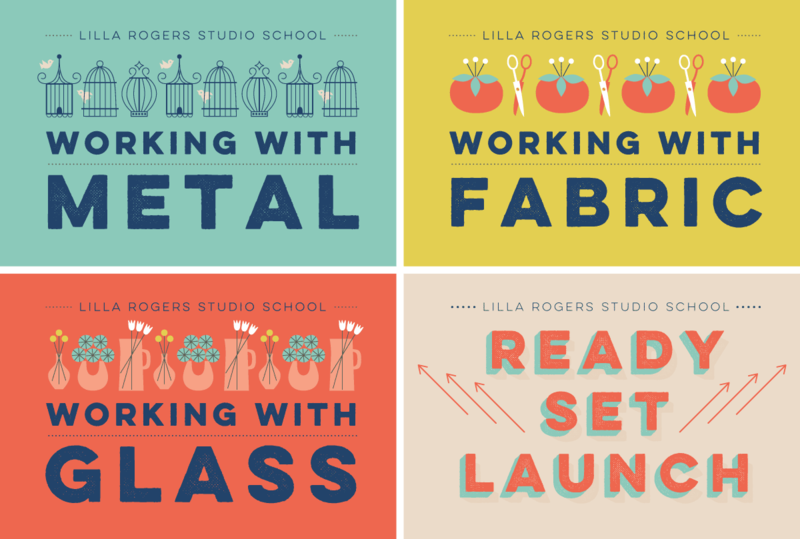 We went on to design the website (with an optimized mobile version) that has a shop for online courses, an ever growing free resources section, a blog, and a ton of other information for illustrators. 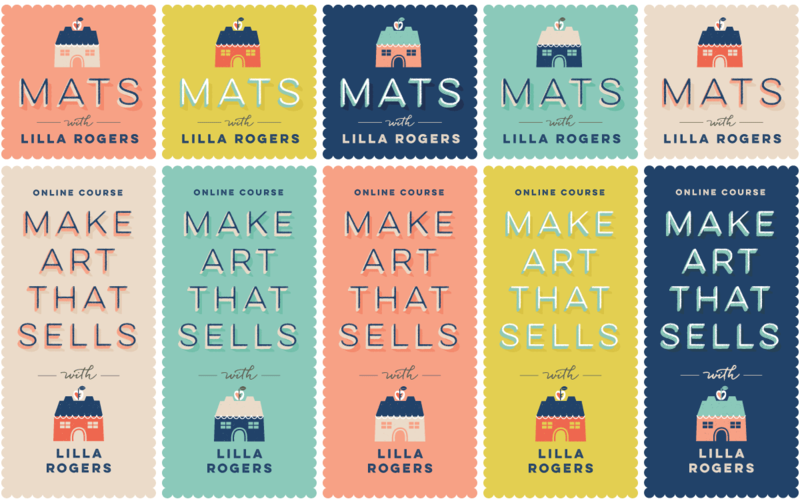 Banners for the MATS classes. We designed the website, which is brimming with content like helpful tips, tutorials and how-to videos. It’s set up with an e-commerce store that handles the sale of classes and tickets for contests and events. 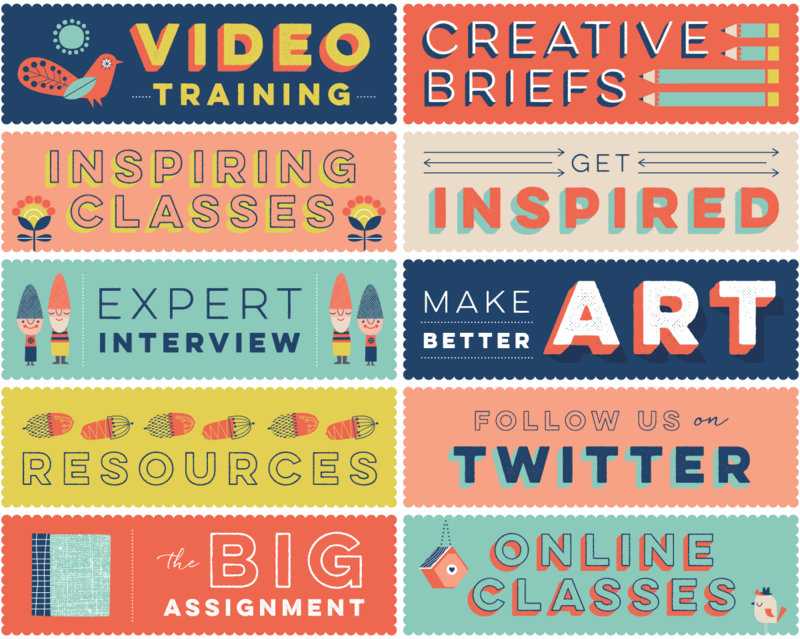 Courses graphics for the online shop. Video intro stills for tutorials.